Mumbai: After successfully partnering Godrej, Jio, Infosys to bring in the cutting-edge global practices of strategic branding to India, world’s leading brand consultancy Interbrand and Britannia celebrated the launch of the much-awaited Britannia positioning and identity this month. The occasion also marks the centenary year of the country’s leading consumer brand as also its orbit shift into being a total foods company. In second half of 2016, Britannia’s board of directors, after a rigorous process of evaluating multiple global and local branding firms, tasked Interbrand, world’s leading brand consultancy with the responsibility to contemporize the brand. The brief was to rejuvenate the centenarian to lead the new consumers and market opportunities to reflect the company’s future plans and portfolio expansion. 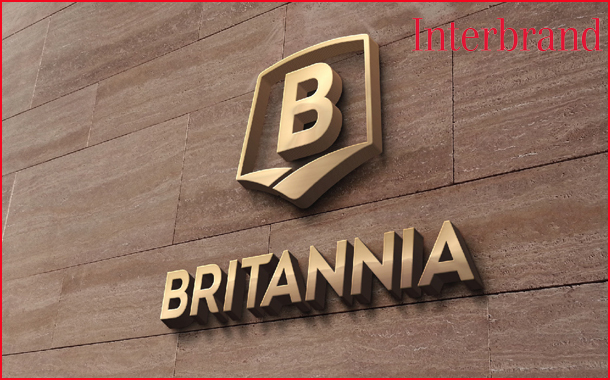 What followed thereafter was an elaborate 2 year long brand engagement involving the right analysts, strategists and design experts from across the Interbrand’s India, Madrid and London offices, who drew upon the wisdom of Britannia leadership, varied consumer cohorts, chefs and nutritionists. Insights drawn from these formed the basis of the refreshed new positioning for the brand – ‘Exciting Goodness’. The brand’s new positioning of Exciting Goodness espouses the increasingly relevant idea of balance. The new logo celebrates this beautiful balance between the two fundamental choice drivers – Wellbeing and Excitement as also between accessibility and premium. Remarkably Britannia is uniquely placed to champion this growing philosophy for consumption as well as lifestyle. Speaking on partnering Britannia on this milestone, Ashish Mishra, Managing Director, Interbrand India, said – “When good and fun combine, new possibilities arise. The idea was to dispel the belief that what’s good will not be fun and what’s fun will never be good. Exciting Goodness not only provides a unique positioning for Britannia portfolio but also informs its purpose and its future innovations framework. Clarifying the need for the rebrand, Mr. Mishra added: “Although the world around the legacy Britannia business including attitudes, drivers and competition had changed, mere design refresh was not the genesis for the rebrand. The compelling reason for the rebrand was judiciously strategic. It was to bring the future business strategy to life through the new brand. For the future Britannia business ambition warranted a stronger connect with the youth and broad basing of the portfolio from biscuits while retaining its premium. That’s what precipitated one of the more challenging rebrands of the decade. Providing the deeper perspectives behind the change, Manjunath Desai, Head – Consumer Insight, Media & Competitive Intelligence, Britannia Industries said – “For around a century now, Britannia has transformed itself at strategically chosen junctures in anticipation of changes in the consumer/business ecosystem and to reflect its renewed aspirations. 2018 forms such a cusp, for Britannia marks the completion of its first century of delighting India and prepares for the next by setting an ambitious goal and taking fresh guard. This identity make-over symbolizes its preparedness for the journey to its next stop, ‘Total Foods Company’, in a milieu that will be entirely different from its first 100 years. Speaking on the occasion, Ali Harris, Head of Marketing, Britannia Industries said, “We have a 100 year heritage and wanted to be sure that we continued to reach every Indian household – to bring in a newness yet remain uniquely Britannia. We undertook extensive research to help us unlock how consumers viewed Britannia and found that consumers place our brand right in the middle of excitement and goodness. This helped inform our new brand proposition, designed within a framework that balances our heritage and provides a contemporary appeal to the brand. Designed under the premise that our products carry both excitement and goodness, we held on to our heritage red, made green a bit more vibrant and added in a new color yellow. The new logo identity also has great shelf throw, which is critical in our cluttered retail environment. As we look to emerge as a ‘Global total foods company’, this new logo is crafted to unbox Britannia and open it up to bright new horizons”. Adding to the excitement of rebranding country’s most valuable food brand was also another milestone for Interbrand India. “About a decade back we began our first partnership in India and rebranded Godrej. Since then, through the prestigious projects including JIO branding, Infosys repositioning and design, and Mahindra’s global brand roadmap; we believe we have been privileged to be the partners for the decades top 5 branding jobs. We feel delighted about world’s leading brand consultancy becoming India’s leading too” added Mr. Mishra wishing its partner Britannia, 100 more years of growth!